If you live in Oakville and have been trying to find used cars in your area, you should consider visiting Budds’ BMW. We’re located just off of Bronte Road, south of the QEW. We’ve been providing Oakville residents with premium used BMW automobiles for many years, and we have thousands of happy clients. BMW is a world-renowned brand, and Budds’ has proven to provide reliable services in a timely manner. Whether you are looking to find used cars in the Oakville area or you are looking to have your BMW automobile serviced, we are here to assist you. When people are looking to find used cars in Oakville, affordability is often a concern as many people have growing families and life can be expensive! Budds’ BMW customers can rest assured, as we have competitive pricing options and affordable finance and lease packages that can be tailored to your lifestyle needs. Meet with one of our financial advisors at Budds’ BMW in Oakville to help determine which financial package best meets your needs and budget. At Budds’ BMW we strive to help you drive in style and comfort without having to worry about cutting costs in other areas of your life. We do our best to work within your budget so that you can bring home your dream vehicle. Welcome to the Budds’ BMW Community! Whether it is your first time purchasing a certified pre-owned BMW car at Budds’ BMW, or perhaps you’re looking to trade in your vehicle, we’ve made it easy to find used cars in Oakville. We have a great selection of luxury used BMW vehicles, and all of which are in top condition. No matter what kind of model or make you’re looking for, we’ve got you covered. Our online gallery will provide you with a sound idea of the BMW vehicles that we carry, however feel free to visit our Oakville dealership in order to test drive and get a feel for the vehicles that you’re most interested in. Every vehicle feels and drives differently, so it is important that you have a chance to experience what it feels like to get behind the wheel of some of the most valued vehicles the industry has to offer. Once you’ve joined the Budds’ BMW community, feel free to stay connected with us. 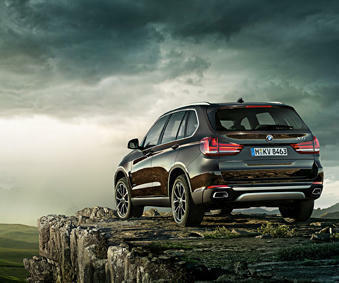 Whether you have questions about how to best service your used BMW vehicle or you simply want to connect with like-minded individuals, we love to connect with members of the community!